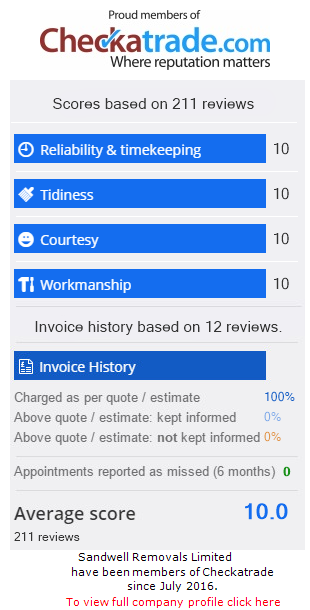 Sandwell Removals Customer Reviews | CheckaTrade & Google Rated! Sandwell Removals appreciates and encourages customers to leave feedback or reviews on the level of service provided to them. This is the best way to improve services and above all it gives new or potential customers the confidence to book with us. Sandwell Removals, 3 Creed Way, West Bromwich, B70 9JT.